Emilio, Mario and Kako had already served as volunteers with various humanitarian initiatives in El Salvador and were aware of the fragility of the most disadvantaged communities when faced with natural disasters. This led to thinking about and designing an early warning device that can be used when traditional communication systems have collapsed due to a natural emergency, when the first few hours are crucial to saving lives. This idea would later become Kit Reacción, an open source electronic device that allows communities to communicate with each other and with humanitarian aid organizations in case of natural disasters. Emilio Velis of Red Acción Comunitaria commented that the project received a grant from FRIDA, the Regional Fund for Digital Innovation in Latin America and the Caribbean, and that this had allowed them to develop the first prototypes and implement the first field tests. In an interview with LACNIC, Velis recounted the journey of an initiative that has also been recognized by MIT Technology Review as one of the most innovative in Central America. What is Kit Reacción and how did you come up with the idea? 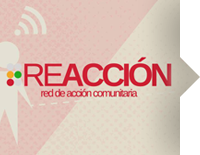 Red de Acción Comunitaria (Community Action Network) is an open source early warning system that works primarily with local community organizations. Our project was based on a communication system that empowers vulnerable groups during and after a natural disaster, at times when networks become saturated or infrastructure is damaged. With this in mind, we developed a wireless network where community leaders can register their status and share with other local groups and humanitarian aid organizations in the first hours after a natural catastrophe, as this might allow saving lives in remote areas or during critical events. We first came up with the idea in January 2014 with two other friends who are part of the Open Hardware community in El Salvador, Mario Gomez and Kako Valladares. The three of us wanted to focus on a social or environmental issue within our local context. We worked for a few months on developing the idea and during this time we were supported by Organización Conexión [http://www.conexion.sv/] in El Salvador. What progress have you achieved since receiving the FRIDA Grant? During the year of the project, we worked on the first implementation of our prototypes. In those months we worked with the Fátima and Getsemaní communities of Ahuachapán, organizing training and co-creation workshops where future users validated and even enhanced various aspects of the user interface. We then developed and manufactured the devices and conducted field testing. In addition to the funds we received, winning the FRIDA Grant opened the doors to collaboration with many local and international institutions thanks to the credibility our work gained through this implementation. We even managed to generate synergies for working jointly with other institutions that have supported us in various ways. Conexión was the first to believe in us. FRIDA was the first to bet on the idea’s potential, and this was very valuable for the project to reach its current level of development. What is the current range of the kit? At design level, in rural areas a transmitter has a range of 100 m to 1500 m. This depends on various factors, including altitude variations as well the number of trees and obstacles. We are creating a network where people can register their location, their movements and their behaviors for the purpose of analyzing what people do during a crisis and improving the way we train communities to design better emergency plans. How has the initiative impacted the community? After this pilot experience during which we organized about 15 workshops, we now have a very cohesive group of people who have worked with us, not only attending the training activities but even training community leaders so that they can, in turn, train other members of the community. Our greatest success has been community empowerment. Has the system already been used during a natural disaster? What were the results? The Reacción team assumed the commitment to stay with the community even after completing the project. We are currently starting to implement simulations to validate the use of the system on-site. For this we are using collaborative game devices. This month we will be playing a game similar to “Capture the Flag,” during which teams will send their location for collecting scattered items, simulating rescue operations using Kit Reacción. This will allow us to analyze how people react when faced with a natural disaster and are able to communicate with their neighbors. In turn, this information will help us prepare members of the different communities for when they are actually affected by a natural event. MIT Technology Review recognized Red Acción Comunitaria among the most innovative initiatives in Central America. What did this mean to you and to the project? It was amazing! We started working in January 2014, sketching the idea over a cup of coffee. A couple of months later, Mario manufactured the first three prototypes that cost us $182. Six months later, thanks to the FRIDA Grant, we started talking about an actual project. The award was undoubtedly a personal recognition, but we are all very much aware not only of the efforts of those who were involved from the very beginning, but also of the support we received from everyone who believed in us in one way or another. All of this has been very valuable to us. The support provided by Conexión was important for making us known among local actors. FRIDA allowed us to reach the community and gain international recognition, and even reaching the world’s oldest technology magazine! It was a great incentive and drove us all forward. We are currently focused on using the model to reach larger numbers of people. Plans for future implementations include an expansion to the nearby Fátima and Getsemaní communities, as well as to other regions such as Colombia and the Peruvian Amazon. Last year we had the opportunity to speak about Reacción at MIT during the Global Fab Labs Conference (Fab11), which led to the project being promoted by Global Humanitarian Lab [https://interagencystandingcommittee.org/system/files/ghlbrochure.pdf, page 24], an organization supported by the Red Cross, ACNUR and PMA. This, in turn, gave us the opportunity to dream of increasing our impact in terms of the number of people we are able to reach. To achieve this, we are currently working on the creation of a regional ecosystem for monitoring climate change variables and the production of effective community plans. Our wish is that El Salvador will become a benchmark for these issues and have an impact on the Americas, where more than 50 natural disasters occur each year. How would you summarize your experience with FRIDA? Winning a grant as valuable as the FRIDA Grant introduced us to a regional community of people working on similar issues. It is obvious that programs such as FRIDA are not only about creating scientific knowledge, but also about promoting local development through access to connectivity. It is exciting to be part of a community of people focused on these principles for the benefit of local and regional communities. In addition, we were able to scale up our idea from three $182 prototypes to a project with an actual impact on the community and the possibility of saving lives in the event of natural disasters, not only in El Salvador but throughout the region. This is priceless. We are very grateful for the trust that FRIDA placed in us.